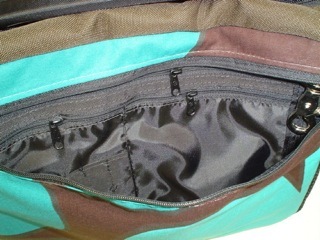 A layered pocket set on the interior of the bags. Can be sewn inside an exterior zippered pocket as well. 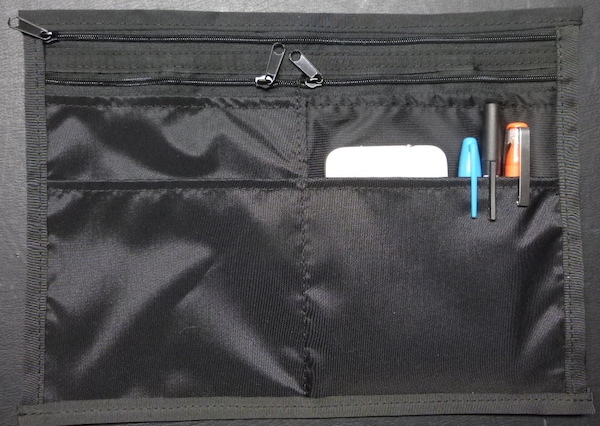 In fact, for those who want many organizing options you can custom order a bag with an exterior zippered pocket. I can add the Zoe Pocket set inside that pocket in addition to the standard set inside the body of the bag.